Having a steady rotation of spring style essentials is necessary. But every now and again, a craving to take your looks to the next level hits. Lucky for you, menswear is increasingly being driven by trends, which means one thing: a larger selection of bold pieces to choose from. Keep reading as we show you three ways to kick your outfits up a notch. What’s better than one print? You guessed it: two. 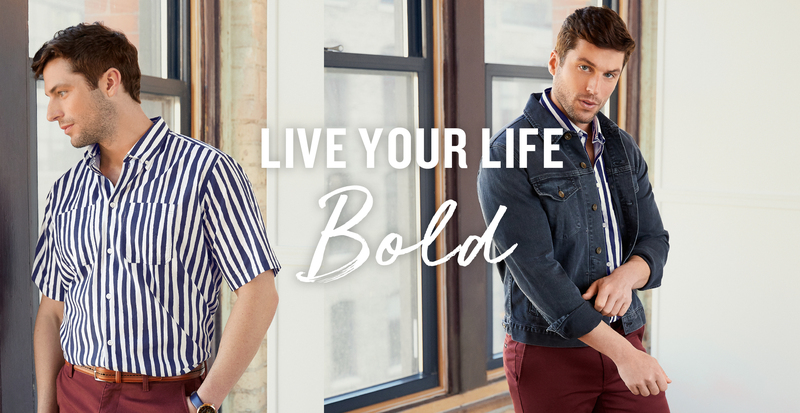 We love mixing patterns because it’s an easy way to upgrade a simple jeans-and-tee combo without any extra effort. 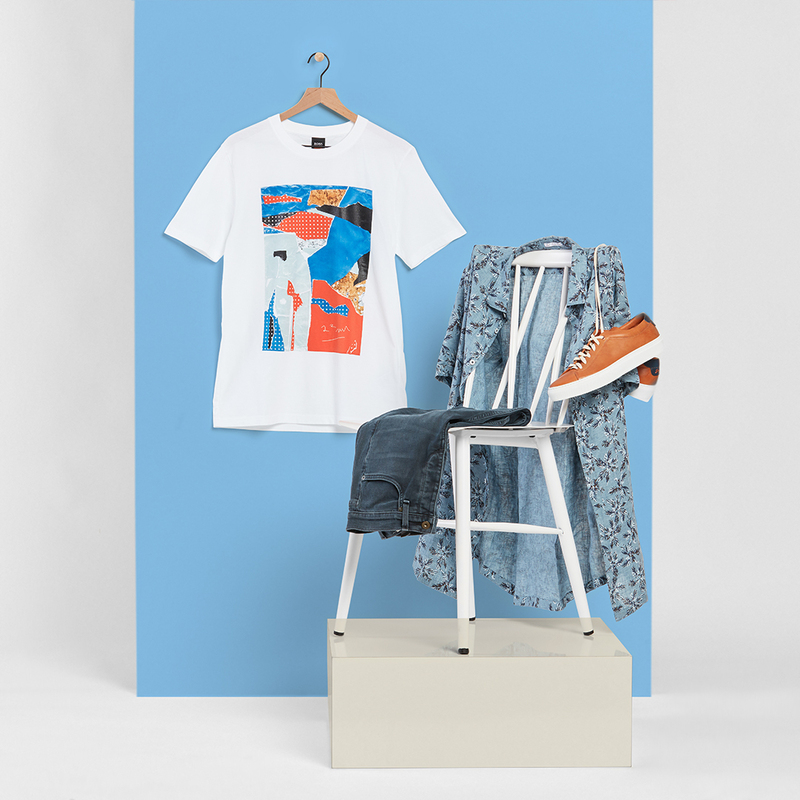 To pull off the look, simply start with a vibrant, graphic-print tee and add a coordinating short-sleeve button-down with a micro-print over top—making sure to wear both with confidence. To bring it all together, complete the look with your favorite jeans and throw on matching accessories. Most men tend to shy away from wearing vibrant colors and stick to muted shades when given the option. That’s why we’re encouraging you to shake things up by going against the grain and indulging in candy-colored hues. 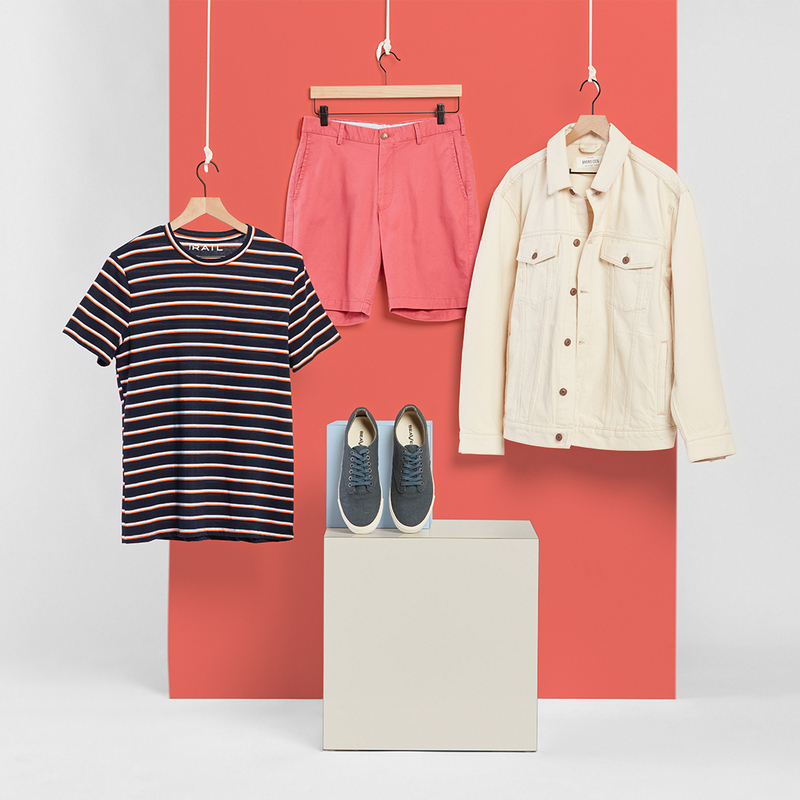 Ease into it by going for pieces you already feel comfortable wearing, like a denim jacket and twill shorts. Add in a patterned element that brings together the various colors in your outfit, and you have a look that’ll score you a few extra style points. 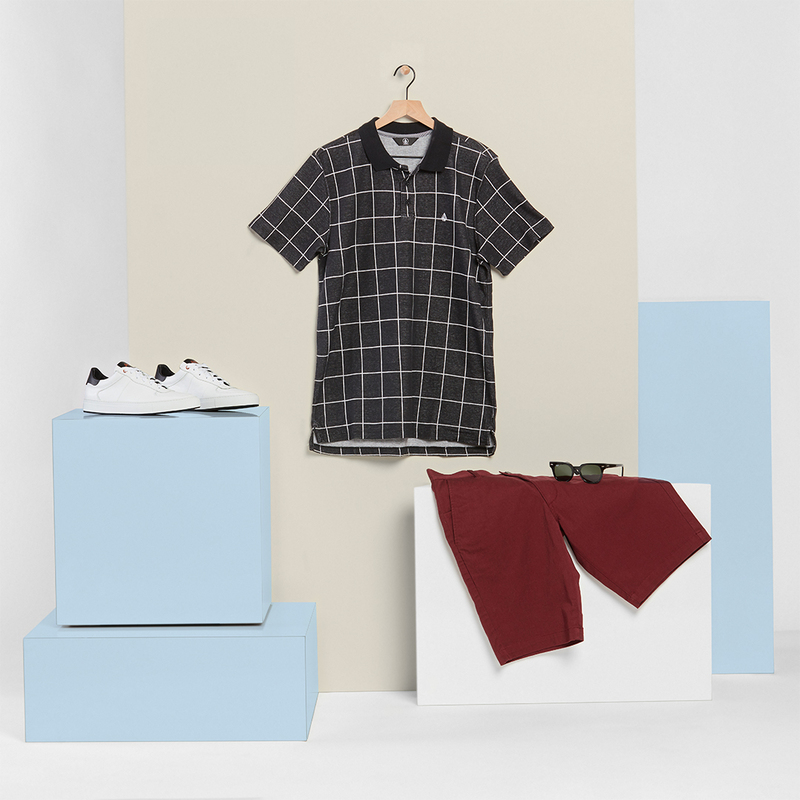 This cool-guy look is brought to you by timeless classics that are updated with a fresh twist. The large-scale pattern on the polo features a striking color-contrast that really draws in the eye. Paired with shorts in a rich shade that’s particularly unique for this time of year, you have a look that is undeniably bold. Wear it on a date, while going out for drinks with the boys, or any other occasion you want to make a statement. A bold outfit really is just a matter of making a few simple swaps. As long as you don’t overthink it, wear what makes you happy, and rock your look with confidence, you’re bound to look good.